About a week ago, NGT48 shared the results of a third-party investigation in regards to the assault of Yamaguchi Maho, and they basically said they’ll change some stuff but clarified that no members were involved. Well shortly after, during the AKS news conference about the report, Maho tweeted out her response. She was watching the broadcast herself, which was obviously something they weren’t prepared for. 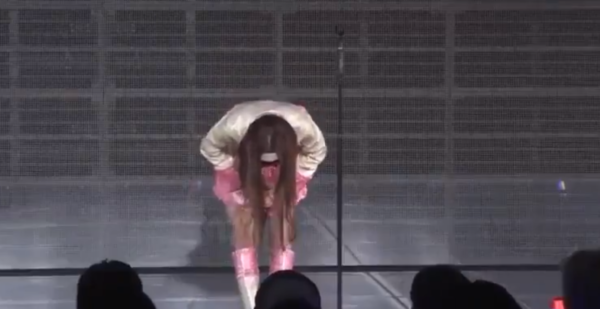 Essentially, she claims Matsumura Takumi of AKS told her that the members connected with the assault would be cut and that he forced her to apologize. Sorry for the lateness of the post, but things have been hectic this month. Anyway, I don’t think anybody with a brain ever thought her apology for this was not forced. Therefore, I’m not sure there’s any reason to believe Maho ever lied about any of this. Her claims have been the only constant in this as management have scrambled to cover this mess up, including constantly changing stories, shuffling staff, and desperately trying to keep this from blowing up into something bigger. Can’t help but feel then that they told her they would take action to prevent her from speaking out until the investigation was over, probably knowing that most outlets would only report on their “official” findings anyway and they could sorta move forward after that.